Clean and clarify your complexion with Jurlique Replenishing Cleansing Lotion, a rich yet gentle face cleanser ideal for dry and sensitive skin. Formulated with an exclusive blend of pure botanicals grown, harvested and extracted at the brand's organic farm in the South Australian hills (including Birch, Calendula, Spilanthes, Rosemary, Yarrow, Lemon Balm and Liquorice), the delicate cleansing lotion effectively dissolves makeup (even the most stubborn formulas) while eliminating pollution and impurities to leave skin feeling clean, smooth and radiant. 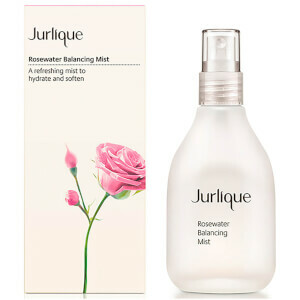 Hydrating and soothing, its botanical formulation restores moisture while natural-based antioxidants help protect the skin. Suitable for use around the eye area. Ideal for dry and sensitive skin. Massage over dry face and neck with fingertips or cotton pad including eye area. Remove with damp cotton pads and rinse thoroughly. Use morning and night. If irritation occurs, rinse thoroughly. Aqua (Water), Dicaprylyl Carbonate, Propanediol, Glycerin, Caprylic/Capric Triglyceride, Glyceryl Stearate Citrate, Cetyl Alcohol, Glyceryl Stearate, Butyrospermum Parkii (Shea) Butter, Macadamia Ternifolia Seed Oil, Persea Gratissima (Avocado) Oil, Simmondsia Chinensis (Jojoba) Seed Oil, Althaea Officinalis Root Extract, Calendula Officinalis Flower Extract, Spilanthes Acmella Flower Extract, Chamomilla Recutita (Matricaria) Flower Extract, Glycyrrhiza Glabra (Licorice) Root Extract, Rosa Gallica Flower Extract, Achillea Millefolium Extract, Betula Alba Leaf Extract, Melissa Officinalis Leaf Extract, Rosmarinus Officinalis (Rosemary) Leaf Extract, Viola Odorata Flower/Leaf Extract, Viola Tricolor Extract, Sambucus Nigra Flower Extract, Fragrance/Parfum*, Squalane, Xanthan Gum, Lecithin, Potassium Sorbate, Dehydroacetic Acid, Sodium Benzoate, Ethylhexylglycerin, Phenoxyethanol, Citronellol*, Geraniol*, Linalool*. *From Natural Essential Oil. It does exactly as it says. It cleanses and it replenishes.